Olivia has rated on date 04/10/19 as BeautifulBeautiful, diverse colors that ALL look good on any skin color. I have pretty light skin and some of the ABH palettes I have bought in the past, at least one of the colors would look too dark on my skin and would look more like a blush or a bronzer than a highlight. I LOVE this palette. All of the colors look different actually on the skin than they do in the pan. They trick you! I had to watch review before buying it bc I was scared that the two darker colors would look weird on me but they don’t! I love Anastasia’s products and ESPECIALLY their highlighters! Keep up the great work!! :) with 4.5star. It took me awhile to get this highlighter kit it is usually sold out and I see why the colors are amazing. It looks good on tan skin and it is hard to find the right gold that can be seen on my skin because sometimes color disappears on tan skin. I have the pink highlighter set and the gold highlighter set and this one is the best to me. unissha mcneil has rated on date 03/02/19 as Great highlighterIt took me awhile to get this highlighter kit it is usually sold out and I see why the colors are amazing. It looks good on tan skin and it is hard to find the right gold that can be seen on my skin because sometimes color disappears on tan skin. I have the pink highlighter set and the gold highlighter set and this one is the best to me. with 4.5star. Sabrina Ponciano has rated on date 03/01/19 as AMAZINGThis product is overall my favorite highlight that I have ever used! The glow from each of the highlights are so colorful yet just right to get that exact pop! Highly recommended for everyone with 4.5star. This palette has given me the best highlighter/glow that I have come across! The shimmer is just right, the colors are gorgeous alone and mixed together! There is basically no fallout and it’s not chalky! 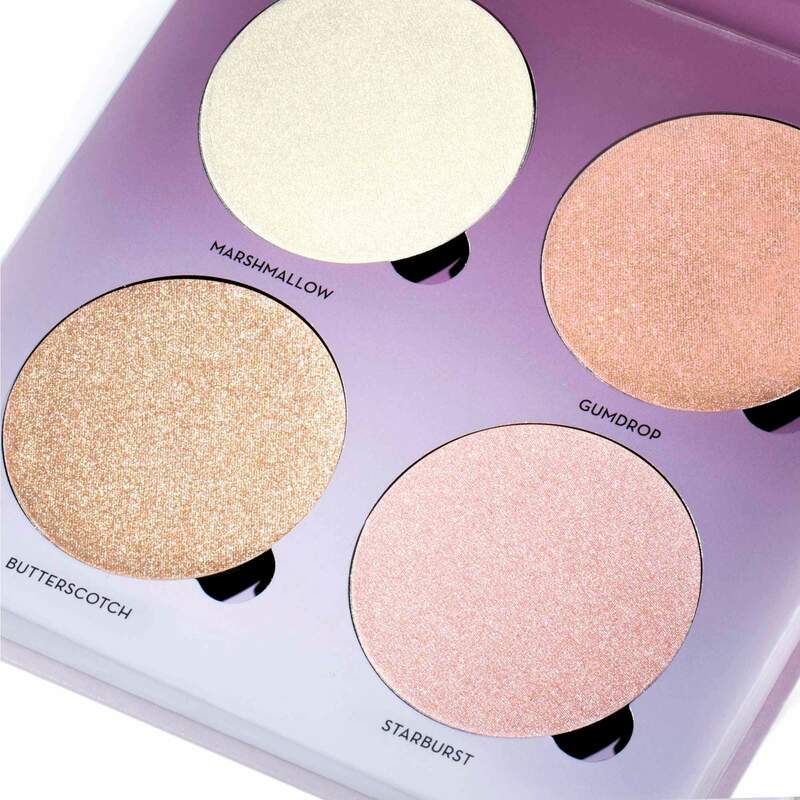 I have tried several name brand highlighter glow kits and this is the first one that did it for me, it worked, the perfect shimmer, beautiful colors that I get to use and be fun creative on my cheeks, eyes, nose and Cupid’s bow! This is a very rare review for me, I usually don’t write them but this product is worth the money and I will buy again! Have a great day! Kimberly Follett has rated on date 02/28/19 as I absolutely adore this!This palette has given me the best highlighter/glow that I have come across! The shimmer is just right, the colors are gorgeous alone and mixed together! There is basically no fallout and it’s not chalky! 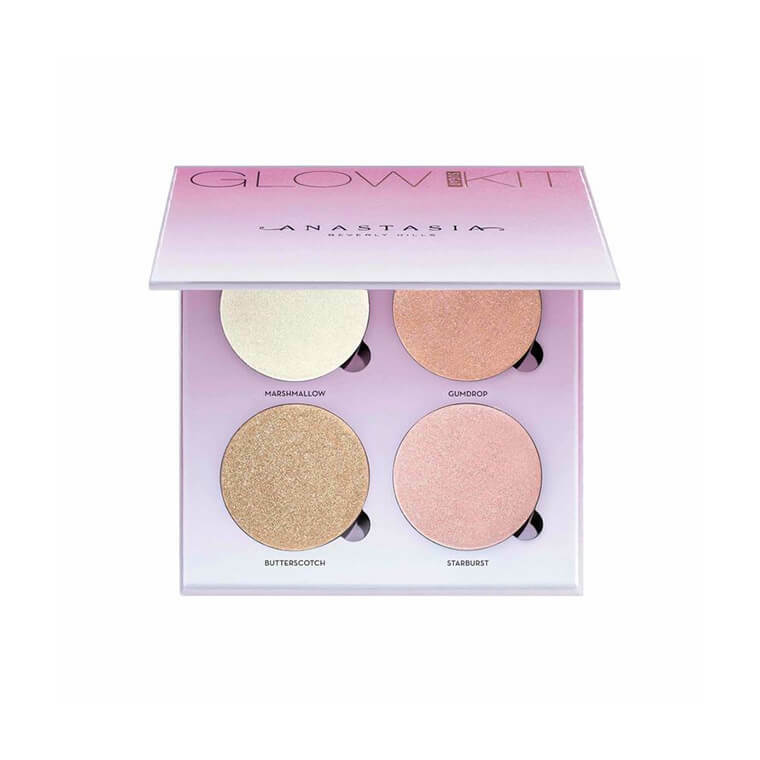 I have tried several name brand highlighter glow kits and this is the first one that did it for me, it worked, the perfect shimmer, beautiful colors that I get to use and be fun creative on my cheeks, eyes, nose and Cupid’s bow! This is a very rare review for me, I usually don’t write them but this product is worth the money and I will buy again! Have a great day! with 4.5star. Great product and service ! Francia Johnson has rated on date 02/28/19 as GREAT!! !Great product and service ! with 4.5star. 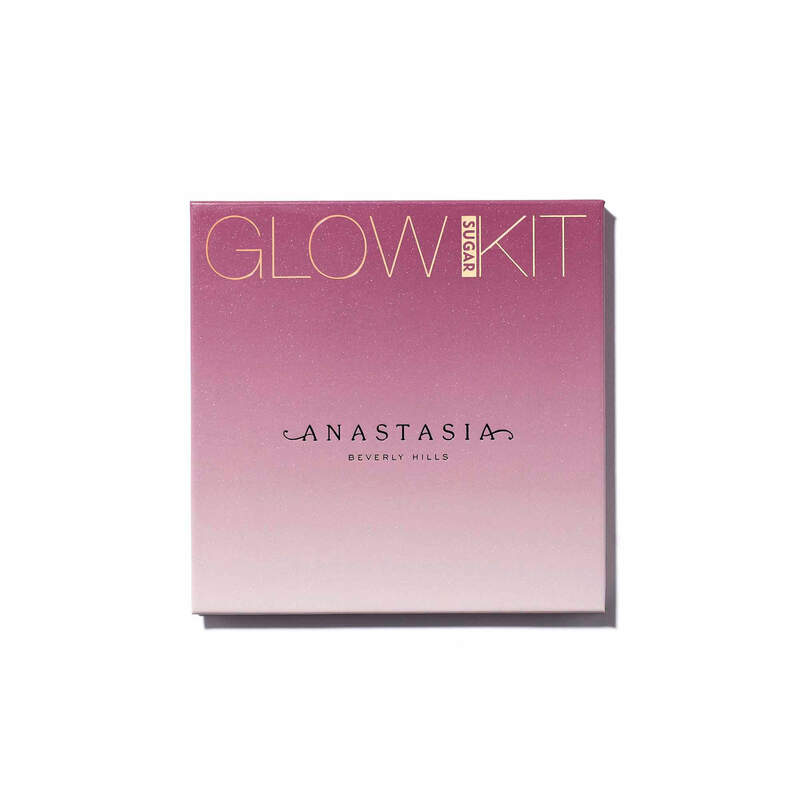 Anastasia Beverly Hills’ all-in-one Sugar Glow Kit contains 4 shades of highlighting powder featuring pink tones and intense luminosity. With a lightweight, refined formula, each shade delivers buildable coverage with a metallic-lustre finish.